While HIV can be deadly if left untreated, a person living with HIV can live a long and healthy life with ongoing treatment. Also, with treatment, the level of virus can drop to undetectable levels, making it untransmittable to partners. Knowing your status keeps you healthy, and can stop HIV in it’s tracks. Get into treatment! HIV is treatable, often with only one pill a day! But treatment is key to remaining healthy and getting to “Undetectable” where the virus can’t be transmitted to your partner(s). The only way to know for sure is to get tested! Do it! HIV infections don’t happen 9 to 5, Monday through Friday, and neither should HIV Testing! 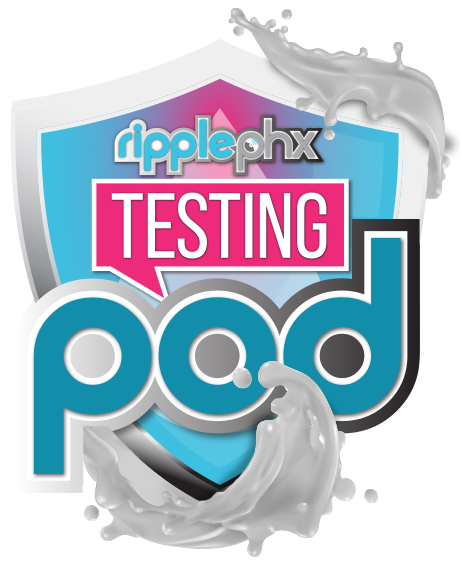 Find the RipplePHX Team out in the community the 4th week of every month with evening and late night HIV testing – or come visit us at our new regular monthly testing location at The Rock! Get a Free, 1-Minute HIV Testing at The Rock on the 4th Wednesday of every month from 7pm – 1am during their Underwear Night! Join us for drinks, underwear & pants-optional testing! No cover, and get a dollar off drinks when you drop your pants! We’ll also give away a bottle of lube for Best Underwear! The Rock 4129 7th Ave Phoenix, AZ 85013 (map) Watch our calendar for other pop-up testing locations! Get a FREE, at home HIV Test Kit! The at-home test kits by OraQuick provide a fast, 20-minute HIV Test Result with just a self-collected oral swab! Visit MysteryKit.org to get your free at-home test today!